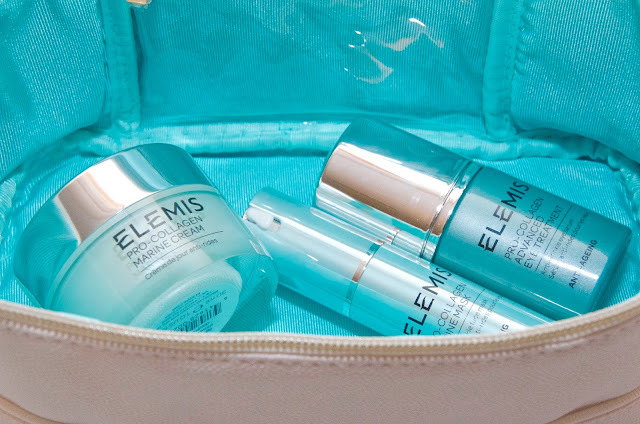 Elemis is one of my favorite skincare brands... I haven't used all of their products, not by a long shot, but almost everything I've tried from the brand has been beyond amazing! 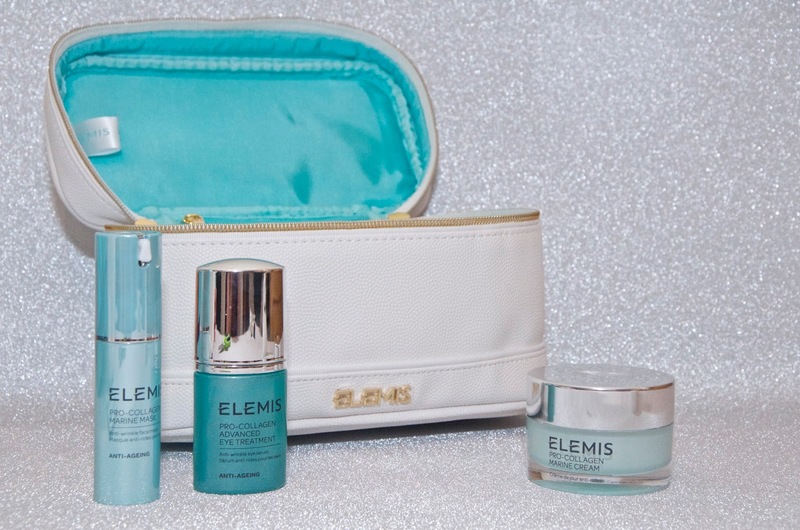 This year Elemis is really winning at the beauty gifting game with a wide variety of Christmas gift boxes available that are certain to please any beauty buff who finds one under the tree. I was given the opportunity to try out the Treasures of the Sea gift box by the fab folks at Look Fantastic and it's an absolutely stunning set. Featuring a gorgeous white vanity case filled with three products from the Elemis Pro-Collagen range of skincare goodies that are infused with Padina Pavoica from the sea, this gift is perfect for any lovely lady on your Christmas shopping list who loves looking after her skin. With a face mask, day cream and eye serum that all work together, this gift will start anyone's New Year's beauty resolutions off on the right track if smooth skin is what they're after. I had used the Pro-Collagen Marine Cream before and it has been one of my favorite moisturizers. It's fortified with Mediterranean Algae, smells incredible and really gives my skin the drink it needs, all while protecting it from free radicals. 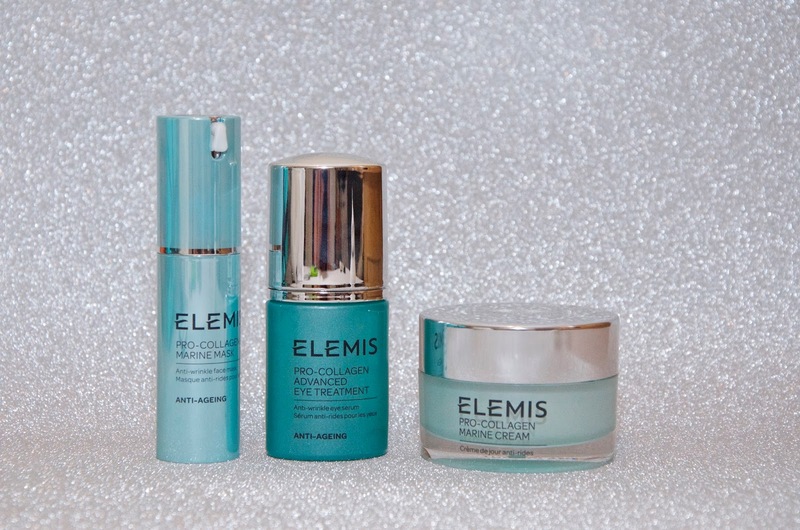 The Pro-Collagen Advanced Eye Treatment is an eye serum and to be honest, it's the first eye serum I've ever used. It's very light and liquid, unlike most of the eye creams I've used before and it smoothes on very easily. I find that just one drop more than covers both eyes and it sits nicely underneath the Pro-collagen Marine Cream and makeup as well. I had also never used the Pro-Collagen Marine Mask before. With marine and plant actives, this mask is a light, creamy lotion that you apply all over your face and leave for 10 minutes before rinsing off with warm water. Every time I use this lovely mask, my skin (which is often dry) feels hydrated and it glows. It's a real lifesaver, especially if I have something I'd really like to look refreshed for, but I love it for regular use too. All-in-all, the Elemis Treasures of the Sea Collection is worth £104, but is available on Look Fantastic for £68, so I'd say that's a bargain! The set comes packaged in a beautiful blue box with a ribbon printed on it and it really is a special gift. Of course there are other Elemis beauty gifts available if you'd like to spend a little less or a little more and though I've not tried them all, I can say with some confidence that you can't really miss with a gift from this wonderful brand. 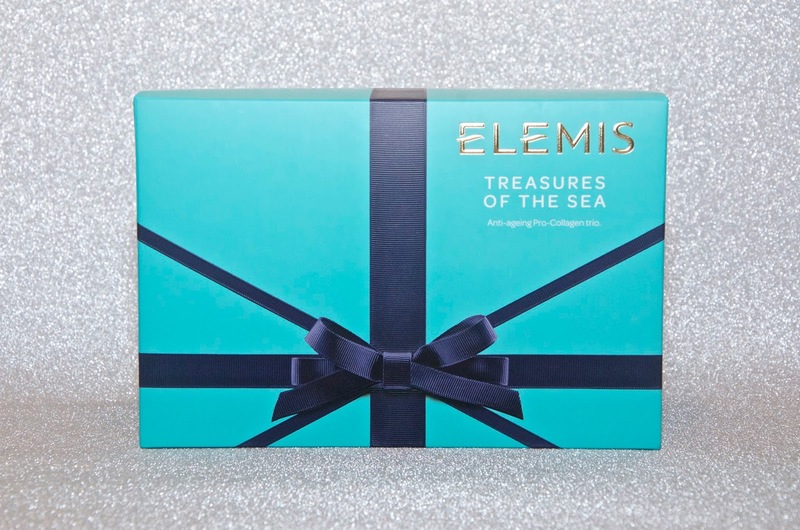 Click here for more information or to buy the Elemis Treasures of the Sea Collection. To see the other Elemis gifts on offer, click here. Happy shopping! Check back tomorrow to see the perfect luxury beauty gift that provides the ultimate in personalized skincare!